Pencil sketch of a 4-4-0 steam locomotive, circa 1860s. Update number 2 of a work in progress. 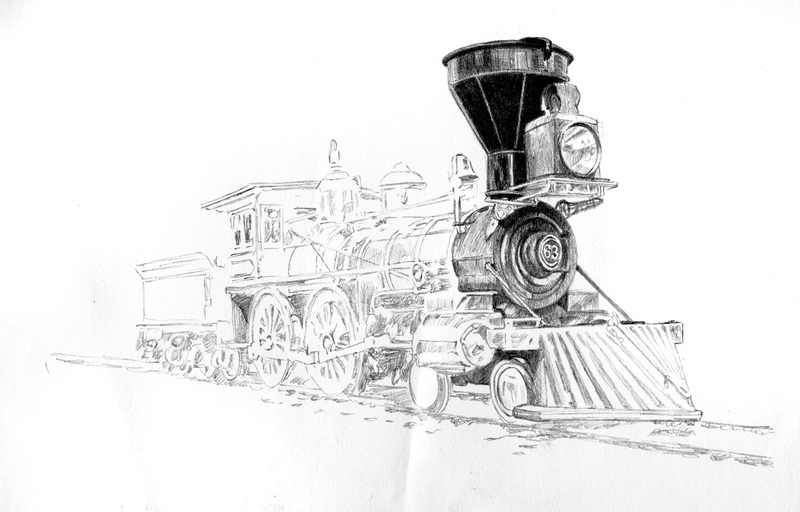 My update of a drawing I am working on of an 1860s-era steam locomotive, 4-4-0 configuration. I began defining the cowcatcher, headlamp and funnel, blending each with a combination of a 2B pencil, a 2H pencil, and a 6B pencil. I am not really a big fan of blending stumps, although I have used them in the past. I will probably use them again when I work on my series of portraits I have planned.